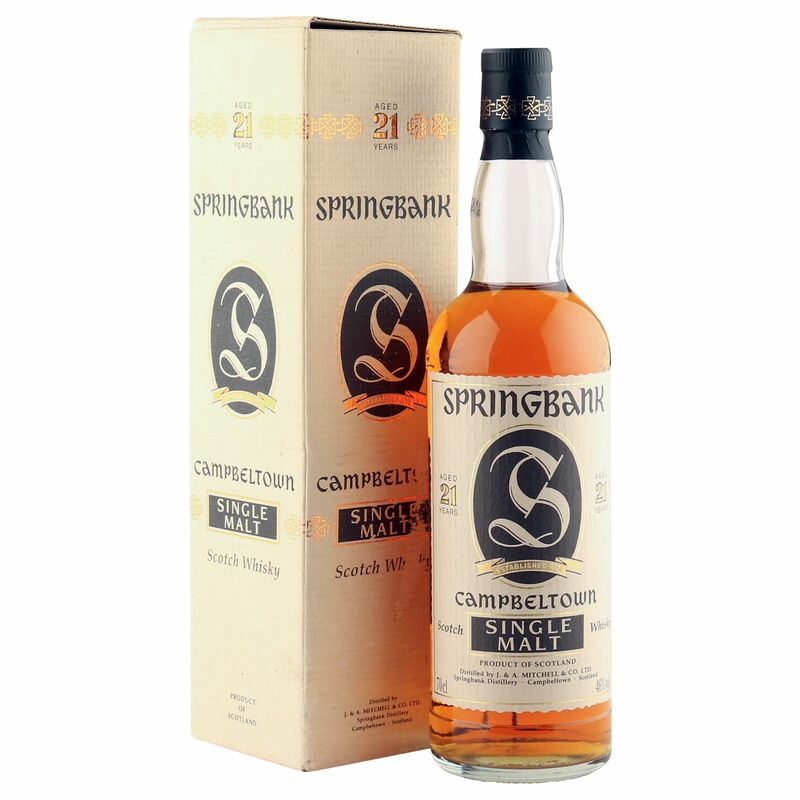 This legendary 21 year old Campbeltown single malt was produced at the Springbank distillery and bottled in the 1990's. Many believe it is this fabulous well-sherried malt that helped catapult Springbank on to the map during this period. The label has a few smudges and marks on it, but let's not beat around the bush, this all about the delicious contents! Original box not provided.